Glasgow’s Merchant City Brewing Company has launched three new cask aged beers along with two new pilot series offerings in time for the festive season. 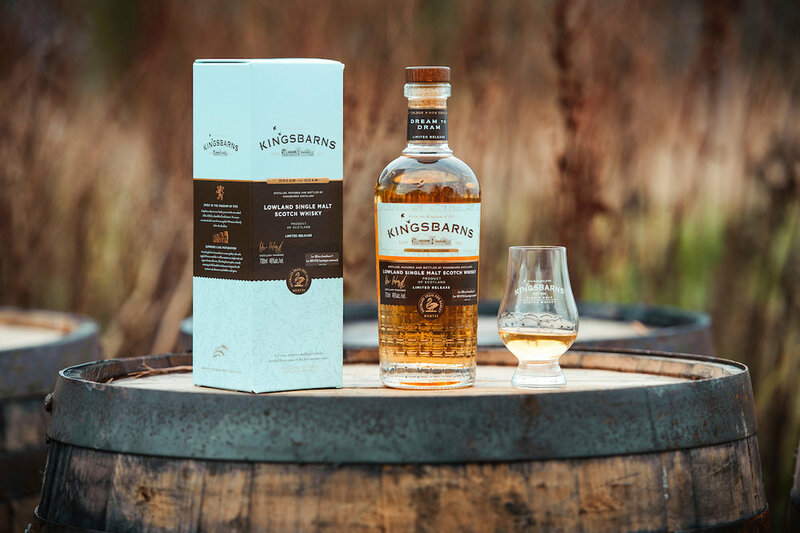 Two of the cask aged beers have been aged using Speyside’s revered Glenfarclas whisky barrels to create a unique offering for beer lovers. The Glenfarclas cask aged Jaggery Imperial Stout is a dark, strong stout made with six different types of grain, Jaggery and cold brew coffee, which was aged in the Speyside ex-sherry whisky casks. The Glenfarclas cask aged IPA combines our staple hop-forward IPA with a sweeter flavour from the cask creating a delicate balance with the bitter bite of the IPA. The trilogy also includes a bourbon barrel aged Chocolate Stout with Sour Cherry. Using the brewery’s new chocolate stout, which features a rich roasted malt character with a bitter dark chocolate taste and aroma of cacao nibs, the beer was aged for four months in bourbon barrels with sour cherries and an extra dose of 100% cocoa chocolate. The brewery, which recently scooped three industry awards from SIBA Scotland, has also launched two new pilot series beers: Kristall Weizen, a modern Scottish take on the classic weizen style, using 50% wheat and 50% pilsner malt. And finally, a new Chocolate Stout, a delicious, full –bodied dark beer with a rich roasted malt character complemented by the dark chocolate taste and aroma of cacao nibs. If you think mulled wine needs modernised, or Prosecco is now passé, allow me to suggest something new. Darnley’s Spiced Gin and Ginger Ale. There are some traditional pairings that you simply can't beat - Eggs and Bacon, Vodka Martini & Laurel and Hardy. Then there are some more recent pairings that have become popular - Brie and Bacon, Vodka and Redbull & Jack and Victor. Finally there are some pairings that you can't for the life of you figure out how they would possibly work - such as Nutella on Bacon (trust us on that), Sandi Toksvig and Noel Fielding and the subject of this piece… Gin and Ginger Ale. Some of you are no doubt thinking why would I want to waste a perfectly good Gin by mixing it with anything other than tonic. Especially when the quality of gin being produced in Scotland right now is so incredible, in my opinion we're producing some of the best gin in the world (not that I'm an expert on the matter I just quite enjoy drinking it). One of the finest Scottish Gins just now is distilled just across the river from us in Fife. The Wemyss family have been quadruple distilling their Darnley’s gin since 2010 and in a traditional manner the botanicals are in from the start, no flavours are sneakily added after distillation. The lovely people at Darnley’s sorted us out with a bottle of Spiced Gin to encourage us to expand our Gin drinking horizons and enjoy a more seasonal G & G! The London Dry Gin that Darnley’s is famous for has been spiced with cloves, ginger and grains of paradise, providing a yuletide alternative to your traditional long drink. The festive aroma, especially of cinnamon and nutmeg are perfectly accentuated when served with a slice of Orange and some cloves, it is almost like Darnley’s have taken Christmas and squeezed it into a bottle. Gin and Ginger is a fabulous combination with both spirit and mixer playing off each other and creating a perfectly quaffable drink to get the party started, or enjoy at the end of the meal if you like with a good Mince pie! Darnley’s tastes great in both these combinations and should be a must have in your festive drinks cabinet. The Gin and Ginger Ale is a potential classic in the making, so if you want to try something a bit different at your Christmas party this year, fix yourself a G&G! Today, Saturday 16th September 2017, goes in the history books as the day whisky makers R&B Distillers officially open the Isle of Raasay Distillery, the first (legal!) whisky distillery on this small Scottish island. R&B Distillers are bringing this traditional Scottish craft to a previously unchartered whisky region, harnessing the raw elements of the unique terroir to create the first Raasay Scotch, which we will have to wait until 2020 to drink. Co-founders Alasdair Day and Bill Dobbie are realising a dream to make whisky in this uncommon location. Raasay is a small island, only fourteen miles in length, situated off the East coast of Skye. The island's 120 residents have watched eagerly as this disused Gothic villa hotel, Borodale House, has been transformed by ABIR architects into the new distillery, adjacent visitors’ centre and Na Tùsairean Club members’ accommodation. In July 2017 R&B announced the distillery team who will be integral to whisky production: the team is comprised of: Norman Gillies, an island resident; Iain Robertson, a young distilling graduate; and Chris Anderson, a master distiller with decades of whisky prowess. Iain, with the guidance of Chris, commenced whisky production this week and guests to the opening will be able to witness the first whisky making in action. 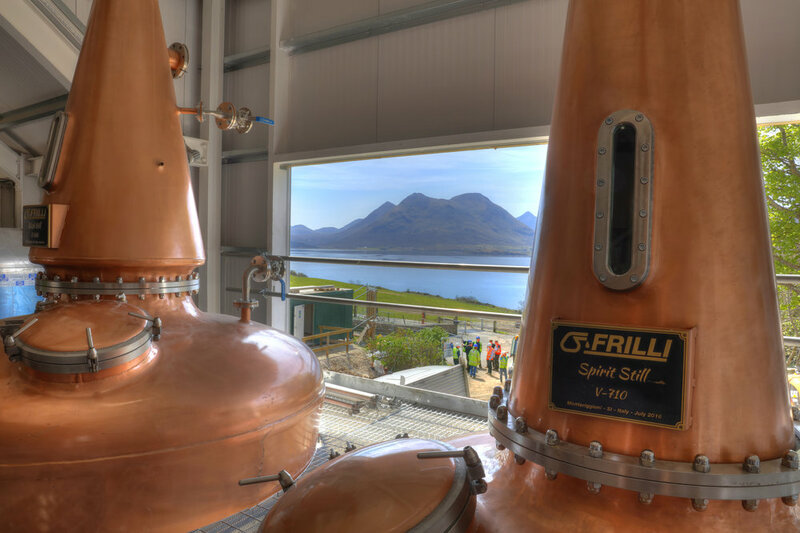 The distillery will officially open to the public in October and visitors will be taken on a fascinating tours around this unique distillery: they will learn about the unusual geology that influences the flavour of Raasay Scotch; spot the resident bat population in the 'Bat Hotel' and visit the Celtic Well that provides water to the distillery. Following the ribbon cutting ceremony, friends, family, industry figures, press and all the island's residents have been invited to join the founders in a ceilidh at neighbouring Raasay House. The distillery will be opened by renowned spirits writer and whisky expert, Dave Broom. The much-lauded spirits writer and founder of scotchwhisky.com, will cut the ribbon into the production room of the distillery and join co-founders of R&B Distillers, Alasdair Day and Bill Dobbie, along with friends, family and islanders to celebrate the opening of island’s first distillery. Being a bit of a Dickensian traditionalist when I think of winter there are usually two, completely opposite images that spring to mind. The first is a roaring fire, in a hearth bedecked with Christmas cards and stockings, a tree twinkling in the background, maybe some tinsel and an Elf-on-the-Shelf tormenting me from a distance whilst paragliding with Barbie. The second image is one of crisp white snow, perhaps a frozen lake and a gentle slope. There are cherubic looking children gently tossing snowballs, or constructing a snow-person or riding wooden sledges whooshing past at break-neck speed. Somewhere in this image are the parents along with their other adult friends, warmly ensconced in scarves and gloves, standing in a circle laughing whilst getting gently sozzled on some warm alcoholic concoction and enjoying a bag of freshly roasted chestnuts. Well that second perfect winter scene was almost acted out to perfection in the new Winter Garden at the Raeburn in Stockbridge, Edinburgh. They have fitted out their front garden with a bar and outdoor grill, along with big chunky tables, blankets and some less traditional heaters. You have a winter wonderland that last night was only missing out on the snow. On a dry night, with a good jacket this is a great place to spend an evening. But what to drink? May I suggest a mug of warmed Spiced Plum Rekorderlig Cider. Sweeter than a traditional mulled wine, but that’ll be the pear cider combining with plums and cherries to provide a massive fruit hit. The mix of spices including the obvious cloves and cinnamon, take the edge off the sweetness creating a very smooth warm drink. There is an obvious danger that you would completely forget that there was any alcohol in the mugs at all, so be careful, at 4% abv a few mugs will definitely put some colour in your cheeks. The outdoor bar will also serve up traditional mulled wine or Hot Chocolate (available with or without Baileys!) as well as a selection of draught pints, of course you can always pop into the pub for whatever you wish! The Raeburn Winter Garden is open every Thursday - Sunday night in December, if you are in that neck of the woods it’s well worth popping in. Beer-loving friends Richard Servranckx and Dan Quille, both from Leith in Edinburgh, plan to share their passion for quality brews and revolutionise the Scottish beer scene with a new ‘Craft Beer Revolution Festival’ at Assembly Roxy in Edinburgh 24th to 26th November 2016. The three-day festival will be held at Assembly Roxy in Edinburgh (24-26th November) and showcase craft beers from 13 of the best breweries from Scotland, the UK and Europe including Edinburgh based breweries Pilot and Top Out, Glasgow based Up Front, Panda Frog Project from Newcastle, London based Howling Hops and Parisis from Paris. Arbikie Gin and Vodka and wines from Vino will also be available for those who wish to enjoy the festival with a different tipple. Over 60 beers will be on offer in the Beer Hall, from pale ales to hoppy 10% brews, appealing to both beer connoisseurs and novices who can try new flavours, meet the brewers and discover a new favourite beer. A Craft Beer Revolution beer will also be available - a slightly spicy double red rye IPA – brewed in collaboration with Edinburgh based microbrewery Ushers, and festivalgoers can vote for their favourite beer to win the ‘Craft Beer Revolution Beer of the Year’ award. To accompany the steady stream of beer, street food is served-up by Scoff, The Buffalo Truck and Glasgow’s popular Babu Bombay Street Kitchen, and Cleaver & Keg Charcuterie Trollies will meander around the festival offering cured meats to pair with the beers available. 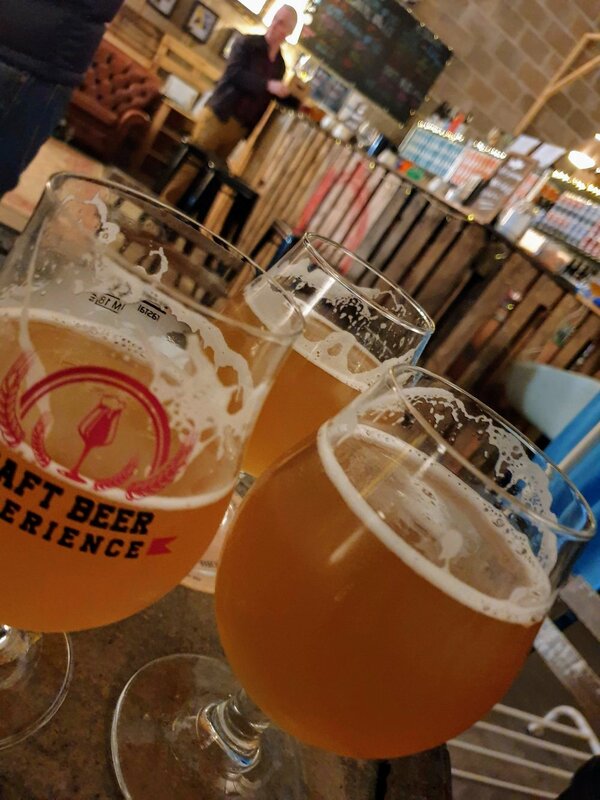 As well as a Craft Beer Revolution branded glass to drink from at the festival and take home, tastings and masterclasses from the breweries involved are also included with tickets. Entertainment takes the form of a playlist complied from songs festivalgoers request online before the festival, daily pub quizzes, Beer-Drinking Relay Races and much more. Early bird tickets priced at £8 are on sale now at www.revolutioncraftbeer.com and include festival entry, a Craft Beer Revolution branded glass to drink from and take home, a £2 beer voucher and entry to masterclasses. A Highland business trio have unveiled a premium new monster product using water extracted from the most famous loch in the world following a six figure investment. Inverness businessman John Oag has officially launched the new premium bottled water, Loch Ness Water, with fellow directors Dawn Younie and Imtaiz Ali. The trio have also had support in the creation of the exclusive Loch Ness Water branding from local businessman Mark Alison, MD of Red Revolution. Following three years of scientific research and development the business trio are extracting water straight from the home of the Loch Ness monster, to be sold as bottled drinking water. Significant sums of money and time has been spent researching the bottled water process by the business partners, before investing in specialist extraction and filtration equipment. The trio have also set up their own custom-built bottling plant in premises in Avoch, 12 miles from Inverness. Loch Ness Water is currently producing the equivalent of 5000 bottles of water a week, but it is estimated that will double in the near future due to the already unprecedented demand. The firm has already received orders from a number of hotels and are currently in discussions with a number of upmarket UK retailers. John Oag, managing director of Loch Ness Water, said: “The global phenomenon of Loch Ness and the Loch Ness monster is undeniable, and now people can have a chance to buy drinking water, that contains a piece of the mystery that is Loch Ness. “This business is a passion and has taken a significant monetary investment and a huge amount of time to get off the ground. We have carefully researched every aspect of our product, from investing in the best filtration systems on the market, to choosing the correct size and style of bottles to sell. To meet strict regulations, for every batch of water taken from the loch, samples are sent for microbiological and chemical testing, before the product can be legally sold in the UK and internationally as a product suitable for human consumption. Loch Ness Water is being produced in 100ml and 375ml glass bottles and will retail to hotels and premium retail outlets to cater for what they anticipate to be a high level of interest from the tourism and whisky market. Edinburgh-based tea merchants PekoeTea have today unveiled a unique, brand-new Scottish single estate tea - Kinnettles Gold. This distinctly flavoured tea is grown and hand-rolled on Kinnettles Farm in Angus by Susie Walker-Munro. Susie’s great-great-great-grandfather Charles Alexander Bruce, was responsible for bringing tea from the tea plant assamica to the British market in 1839, and his efforts in pioneering the tea industry in Assam led to India exceeding China’s tea exports today. Only 2kg of the tea has been produced this year, which will be exclusively retailed by PekoeTea in limited-edition 20g tins. The tea has been processed using secret techniques, specially-developed for the Scottish climate with the help of tea consultant Beverly-Claire Wainwright of Teacraft. Beverly’s philosophy is to match processing methods to suit the terroir, rather than copying methods from other countries. Until this year, small batches of Kinnettles Gold were processed by Susie using methods from Darjeeling that were not bringing out the full flavours of the tea. As Scotland’s terroir is unique, Beverly has created unique processing methods to ensure the tea lives up to its full taste potential. In early 2015, Beverly introduced Susie to PekoeTea whose ethical credentials impressed her. She commented: “I am so grateful to Beverly for introducing me to Jon and keeping this a Scottish affair. Jon’s deep knowledge of tea makes PekoeTea the perfect showcase for my Kinnettles Gold single estate tea”. PekoeTea, founded in 2005, boasts two Edinburgh tea shops as well as an online retail business, and is operated by Jon Cooper and his wife Esther. Their range of over 100 single estate loose-leaf teas makes them unique in Scotland. They are one of only a few tea companies in the UK to import direct from source. The tea will retail at £2500 per kg. 1.5kg of Kinnettles Gold is being packaged in numbered limited-edition 20g tins priced at £50 each. The remaining 500g is being kept for sampling and referencing. The tea is available for pre-order online and in store, to be distributed on Friday 20th November 2015. For a perfectly-brewed cup of Kinnettles Gold, visit PekoeTea in Stockbridge where a limited number of cups will be available at £15 per serving.